Dr. Rachel Ferrara provides comprehensive primary care for children, adolescents, and adults. She has a strong interest in preventive care, and likes to empower her patients through education. She performs multiple office procedures including joint injections, biopsies, colposcopy, and IUD placements. 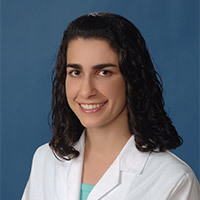 Dr. Ferrara graduated from Columbia University with a bachelor's degree in History, and received her medical degree from the Keck School of Medicine at USC. She completed her residency training at UCLA. Dr. Ferrara is a native of Los Angeles and grew up in the San Fernando Valley. She enjoys hiking, cooking, gardening, listening to music, and rooting for the Dodgers and Lakers.